The Rock Solid Camera Platform quickly and securely mounts to any standard 5/8″(16mm) Baby stud. 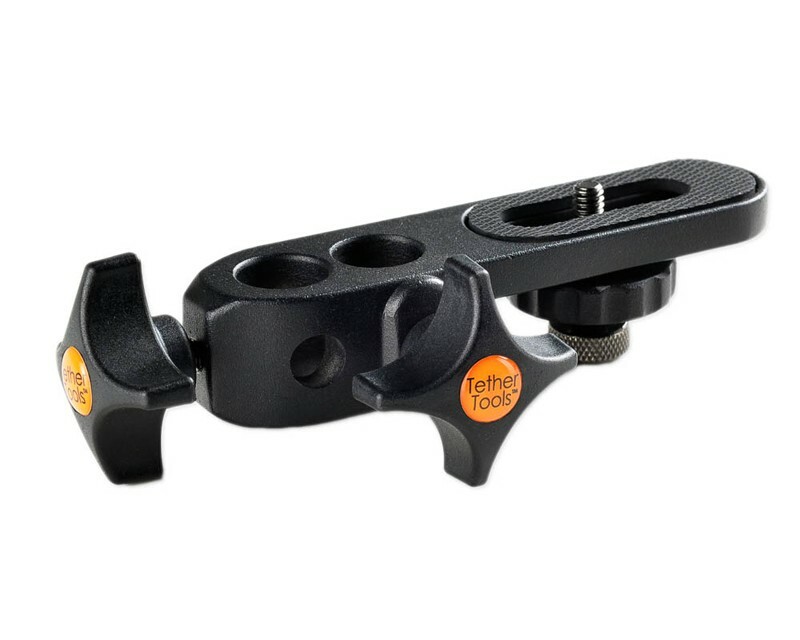 The Rock Solid Camera Platform is designed to integrate with any 5/8″(16mm) Baby studio stand, clamp or arm. This versatile bracket quickly and securely mounts to any standard 5/8″(16mm) Baby stud. Included with the camera platform is a 1/4″-20 screw with a large knob to secure the camera and two 5/8” baby stud receptors for variable accessory mounting. Ideal for mounting a camera or other ¼”-20 accessories in various locations. Also includes an umbrella mounting receptor. Looking to mount a GoPro camera? Add a GoPro Tripod Adapter.